Black and White. 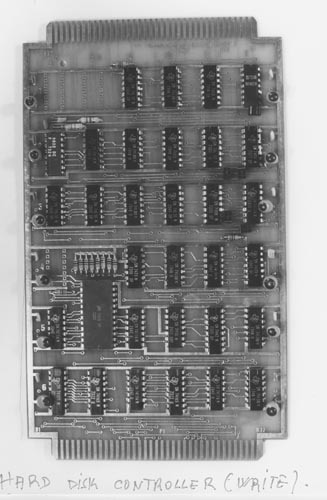 Image of a Micral R2E Pluggable unit - Hard Disk Controller (write). It has chips, capacitors, and resistors.